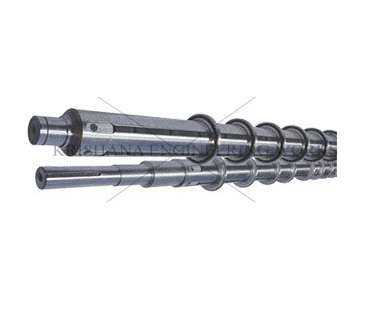 Heavy duty Bottom Knife Holding Shaft manufacturer, Air Shaft Manufacturer. Krishna Engineering Works is a company engaged in Manufacturing, Exporting & Supplying of Air Shafts like Bottom Knife Holding Shaft, Lug Shaft, Mechanical Shaft, Quick Lock Shafts, Multi Tube Shafts, Air Expandable Shaft; Air Chucks, Quick Lock, Safety Chucks from Ahmedabad, Gujarat, India. We are Also Manufacturer of Quick Lock Shaft winner of 3 times National Award and 2 times International Award for Quality manufacturing. Krishna Engineering Works have been manufacturing different type of flexible packaging machinery like slitter rewinder machine. External body which holding anvils or knives precisely in place for slitting operations. Body: Alloy steel, Hard Chrome Plated & Hardened. Luge: Aluminum, steel and rubber.